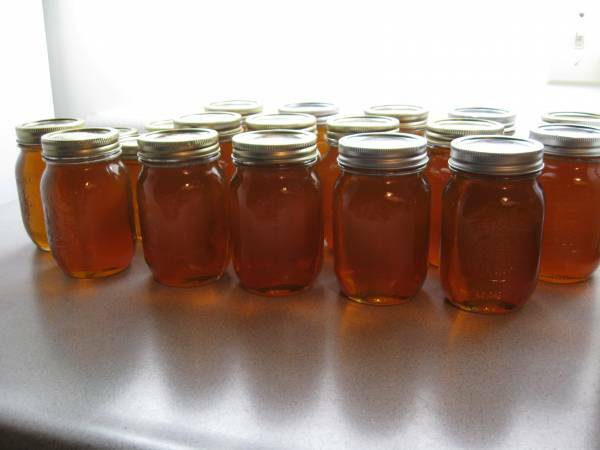 Jeannine Cloutier is the proud owner of the Ottawa Honey House. She’s a feisty and slightly loopy resident of Ottawa Canada that stumbled upon her passion for bees while taking an elective (ENVS*2210 Introductory Apiculture) during her undergrad in Agronomy at the University of Guelph. During her first lab in the course she was given the chance to hold a frame of bees and “move them off the comb” by resting her bare hand on the bees backs. They were warm and fuzzy and moved without complaint. Falling in love with bees happened instantly and it hasn’t worn off in the years that have passed since. This spring she’s excitedly set up her first bees into their new homes. She’s operating a number of different hive scenarios so that she can learn what works best for her bees. One of her hives is a Kenyan top bar hive of her own design (plans available: Page 1 and Page 2. Just add your own entrances and roof style) and seven of her hives are Langstroth; four of which have traditional foundation frames and three of which have top bar foundationless frames (from beethinking in Portland, OR). She’s begun conducting a long term study where hive numbers will be increased over the coming years and multivariate longitudinal data will be tracked on genetic sources, hive design, hive health, over-wintering losses, mite counts, disease incidence, productivity and harvest yields. While spilling her bee enthusiasm, frustrations and adventures in the blog portion of this website she hopes to provide guidance and community to others who are hoping to get into beekeeping. There are so many things to learn and so many pitfalls on the way that it helps to find others with a shared experience. Sometimes just knowing that others have stumbled on your path makes it easier to get back up.